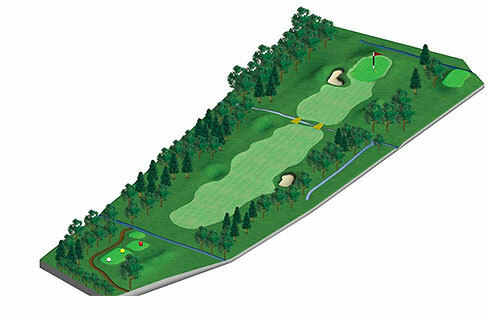 A straight Par 4 requiring an accurate tee shot through an avenue of trees. Right side of fairway offers an easier approach to the green. Big hitters must pay attention to the ditch running across the fairway at around 290 yards. The green is very long which means depth perception can be a problem.